Your Member of Parliament is hard at work every day holding the Trudeau Government to task. 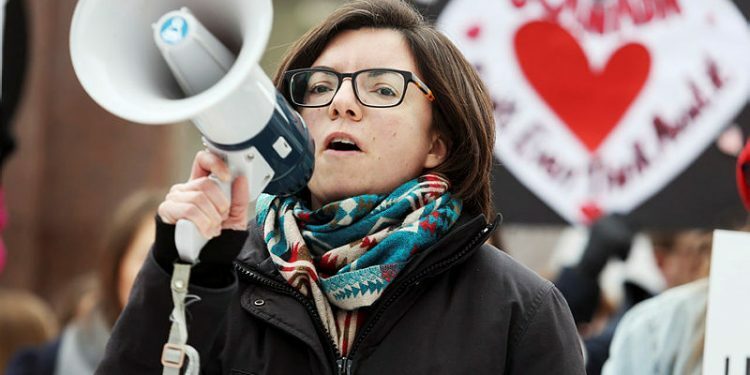 Niki Ashton recently spoke in the House of Commons on a Liberal motion that would study the issue of Employment Insurance sick leave benefits, which currently sits at 15 weeks and hasn’t been extended since the 1970’s. Ashton said that while she’ll join her NDP colleagues in supporting the motion, Ashton said that she is disappointed that the government is more focused on looking like their doing things rather than actually doing them. In her statement she went on to talk about Natalie Thomas, a cancer survivor who was forced back to work early after battling breast cancer as her EI sick benefits had run out. Ashton also spoke about Marie-Helene Dube, another cancer survivor forced back to work early even though she wasn’t ready. Dube has presented a petition to the Federal Government to extend the benefit from 15 weeks to 50, and collected over 600,000 signatures. Ashton said that almost 40% of Canadians who use EI sick benefits are maxing them out, and that once they do they have no choice other than to return to work while still injured or leaving their jobs. She said that the motion represents four years of Liberals refusing to fix the problem, and almost half a decade of successive Liberal and Conservative governments ignoring the issue.